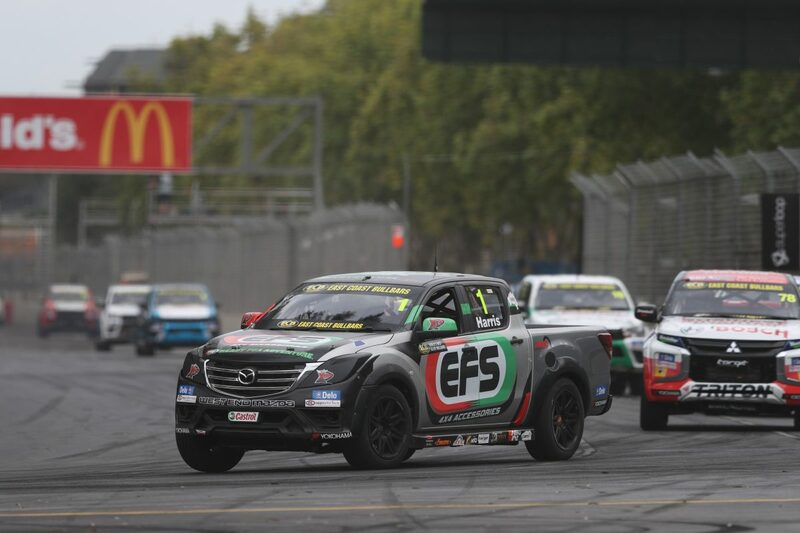 Ryal Harris has claimed the final ECB SuperUtes race of the weekend at the Superloop Adelaide 500 after seeing off a late charge from Tom Alexander. Harris nabbed the lead at the end of the opening lap before opening a small but crucial gap in the early stages. Alexander launched an attack in the closing laps only to fall just short of his target, taking second ahead of Elliot Barbour in third. 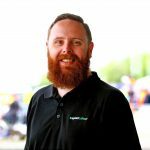 Alexander initially resisted the challenge from Harris as the field headed into the opening corner when the race got underway, holding the outside line and bouncing over the kerbs to take the advantage. It proved short lived as Harris sent it up the inside at the final corner at the end of the opening lap, pushing the Alexnder’s Isuzu wide and dropping him to third behind Barbour. Harris then quickly extended a 1.7 second advantage while Alexander and Barbour began battling for second. Mick Sieders briefly challenged for third but that threat proved fleeting and dropped away form the podium battle. Their battled allowed Harris to check out at the front of the race, extending a comfortable 3.4 second gap by half distance. A better run through Turn 8 saw Alexander slip up the inside of Barbour’s Mitsubishi Triton at Turn 9, the pair running side by side into the Parklands section on Lap 4. Further back, a three-way scrap developed between Ben Walsh, Sieders, and Cameron Crick. Walsh found a way through into fourth at Turn 9 on the sixth tour, leaving Sieders to fall into the clutches of Crick as Craig Woods also bought into the battle . Out front, Alexander finally broke free from Barbour and quickly reeled in race leader Harris, halving the deficit in a single lap. Time however was against him, crossing the line nine tenths behind the race winner with Barbour three seconds further back. Walsh claimed fourth from Sieders and Woods, while a five second penalty applied post race for Crick dropped him to eighth, promoting van Herwaarde to seventh.